Faith Bible Church | "we are continually devoted to the apostles' teaching and to fellowship, to the breaking of bread and to prayer." "we are continually devoted to the apostles' teaching and to fellowship, to the breaking of bread and to prayer." Posted by bonlou on February 21, 2019 in Christian Living, Religion and Spirituality and tagged Bible Study, Sermons. Posted by bonlou on February 18, 2019 in Christian Living, Gospel of John, Religion and Spirituality and tagged belief, born again, Nicodemus, salvation, Truth. Posted by bonlou on February 13, 2019 in Christian Living, Gospel of John, Religion and Spirituality and tagged belive, born again, man's part, salvation, sinner's prayer, trust. 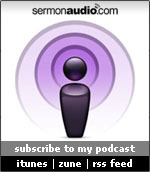 Click below to listen to this sermon. Posted by bonlou on February 7, 2019 in Christian Living, Gospel of John, Religion and Spirituality and tagged born again, Holy Spirit, Nicodemus, regeneration, salvation. Posted by bonlou on January 28, 2019 in Christian Living, Gospel of John, Religion and Spirituality and tagged born again, Jesus, Nicodemus, regeneration, salvation. Posted by bonlou on January 15, 2019 in Christian Living, Gospel of John, Religion and Spirituality and tagged born again, Nicodemus, salvation. Posted by bonlou on January 12, 2019 in Bible Study, Christian Living, Religion and Spirituality. John 2:23-25 This week Pastor Ron continues his study in the Gospel of John. In this section we see how the people reacted to His cleansing of the Temple. Please click to listen to his very interesting sermon. Posted by bonlou on January 1, 2019 in Christian Living, Gospel of John, Religion and Spirituality and tagged counterfeit church, evangelical church today, fruit, obedience, passover, Repentance, signs. Posted by bonlou on December 24, 2018 in Christian Living, Christmas, Religion and Spirituality and tagged Catholic church, humility, Mary, mercy. John 2:18-22 This week Pastor Ron continues his series in the Gospel of John. This time we see the response of the Jewish leaders to Jesus’ cleansing of the temple. Please click below to listen to this sermon. Posted by bonlou on December 17, 2018 in Christian Living, Gospel of John, Religion and Spirituality and tagged Gospel of John, Jews, sign, temple.